Mark Allen Robertson is scheduled to be executed at 6 pm CDT, on Thursday, April 11, 2019, at the Walls Unit of the Huntsville State Penitentiary in Huntsville, Texas. Fifty-year-old Mark is convicted of the murder of 81-year-old Edna Brau and her 19-year-old grandson Sean Jason Hill on August 19, 1989, in Dallas, Texas. Mark has spent the last 27 years on death row in Texas. The Texas Court of Criminal Appeals has granted a request to stay the execution of Mark Robertson, pending further order from the court. Mark, a white man, is arguing that his lawyer unlawfully kept black jurors from being selected, fearing that black jurors would be less sympathetic to a white man. The jury ended up consisting of all white men. Mark was born in Los Angeles, California and spent his early years in a rough, crime filled area of California. Mark dropped out of school after the 10th grade. Growing up, Mark was allegedly abused by his father and was neglected by all parental figures. Mark has a juvenile record. He worked as a cook prior to his arrest. TMark Robertson was friends with Sean Hill, who lived with his grandmother, Edna Brau, in a house in Dallas, Texas. Sean had previously sold Robertson drugs. On August 19, 1989, Robertson and Sean ingested some crystal methamphetamine and went fishing. While fishing, Robertson shot Sean in the back of the head. Robertson then returned to the house to steal the rest of the drugs. Once inside the house, Robertson observed Edna watching television and shot her in the head. Robertson then stole drugs, valuables, and Edna’s blue Cadillac. Robertson then returned home. Upon hearing that the bodies of Sean and Edna had been found, Robertson alleges he had difficulty sleeping and decided to drive to Las Vegas, Nevada. A police officer in Las Vegas performed a routine license check on a blue Cadillac. It registered as stolen. The police officer arrested Robertson after observing him placing the key in the ignition. .
After reading Robertson his rights, Robertson confessed to the crime to multiple police officers. Robertson also confessed to the murder of 19-year-old Jeffery Saunders, a clerk at a 7-Eleven, on August 9, 1989. During his trial, a psychologist testified that the recent break-up with his girlfriend, and the news that she had obtained an abortion of their unborn child, was a significant stressor in Robertson’s life and would have affected his ability to think rationally. Robertson was eventually sentenced to death for the murder of Edna. He was given separate life prison terms for the murders of Sean and Jeffery. 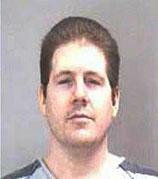 The 5th US Circuit Court of Appeals has rejected a request to halt Robertson's execution. Robertson was arguing that his attorneys at his trial should have been given addition funding to investigate mitigating evidence that could have prevented a jury from sentencing him to death. The 5th US Circuit Court of Appeals rejected his argument. Please pray for peace and healing for the families of the Edna Brau, Sean Hill, and Jeffery Saunders. Please pray for strength for the family of Mark Robertson. Please pray that if Mark is innocent, lacks the mental competency to be executed, or should not be executed for any other reason that evidence will be presented prior to his execution. Please pray that Mark may come to find peace through a personal relationship with Jesus Christ, if he has not already.